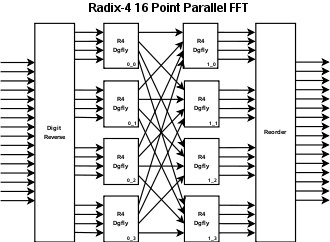 Two fully parallel FFT IP are shown, a radix-4 16 point FFT and a mixed radix-4/2 32 point. 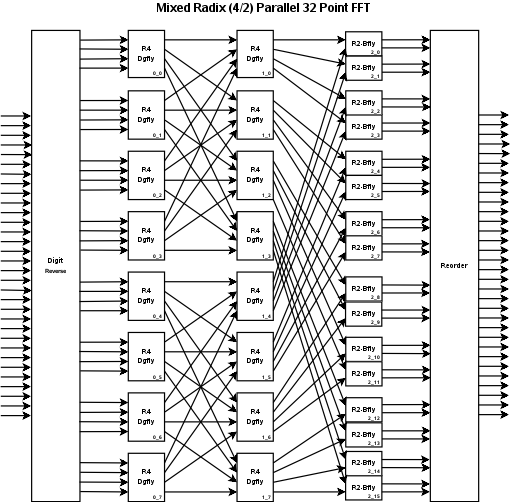 Just two examples of the fully parallel IP available. Estimate or Additional InformationFill out the FFT IP Fit/Information Form to obtain a device usage estimate in your target technology or to obtain additional information about a specific FFT architecture.